Have a new baby, or know someone who is expecting? Have you heard of Snuza yet? If not, you will want to, it’s something all new moms will want to have on hand for the new baby. Snuza – developer of portable, easy-to-use movement baby monitors that simply attach to the baby’s diaper, are lightweight and alert parents/caregivers in 15 seconds if no abdominal movement is detected. 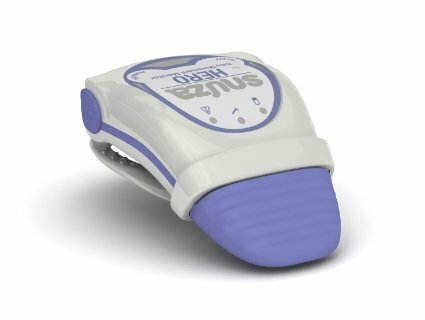 The Snuza Hero is a portable and easy-to-use movement monitor, which clips onto baby’s diaper to ensure that normal movement is maintained. Hero detects even the slightest abdominal movement and will alert you if your baby’s movements are very weak or fall to less than 8 movements per minute. If no abdominal movement is detected for a period of 15 seconds, Hero will gently vibrate. Often this vibration is enough to rouse the baby, and Hero will revert to monitoring mode. After three vibration/rouse incidents, the Rouse Warning will alert you when you’re baby’s abdominal movements have stopped for 15 seconds on three occasions. If no further movement is detected for another 5 seconds, an alarm will sound to alert you. MSRP $119.99. Available at BabiesRUs in February. One of you can win one of your own. Feel free to enter using the RC form below. Good luck! Ends Feb 19, 2015. I would like to win this for my niece. She is having her very first baby soon and I would like to give her something to help make her a little less nervous. I would like to win this for my niece who is having her first baby soon. I would love to win this for my sister who is having a baby the end of March! I am excited! Thank you for the great giveaway! I would love to win this for my friend who is going to be a first-time mom and is extremely nervous. This would give her a piece of mind and help her relax a bit. I want to win for my sisters, they are both pregnant right now. I would love to win this for my friend. She is pregnant with her first baby. I would love to win this monitor for my daughter, She is having her first baby this summer. Our family has experienced the loss of a child in the past and this monitor would help bring some peace of mind to the family, What an exciting new tool to have. I want to win this for my daughter, who is expecting her first baby in June. I am so excited about this giveaway, I hope I win. I would like this for myself and son. I love how you would get a peace of mind being able to hear each sound they make when it another room.. This is such a great thing I worried so much with mine when they were little. I hope to have another. I would give this to a friend who is expecting in June. Thanks for the Chance. I would love to win this for my best friend. She is currently expecting her first little girl. Would love to win this for my niece, who is having her second baby, 10 yrs. after her first! I want to win this for my Sister Katie. She has a sweet baby boy and no monitor! My brother and sister-in-law’s baby, “E,” is who I would like to have this, should I win. They have a set of twins, toddlers, both work, and could use a little help with the youngest of the brood. Thank you! This would go to my daughter-in-law. This will be her 1st adventure into motherhood and I want it to be a special journey. Thanks for the chance to win this. My friend & his wife are going to be grandparents and the baby will be living with them this would be so great for them to have! I would like to win this for my sister, she’s expecting and this would be perfect for her! I would give this to my cousin. She is expecting her first baby in march. I am excited! I hope I win the prize for my sister who is about to have her second baby in May. Can’t wait. I’d love to win this for my cousin. Thanks for the giveaway! We are trying for a baby this spring, so I would love to win this for us! Nothing is more exciting than getting baby stuff to get ready! Like The Pointer Sisters, I’m so excited, and hope to win the prize for sweet little Elizabeth Mae. My cousin’s baby boy is due in March. I would love to win this and give it to her. She will be a wonderful mother. This would be for Big Earl’s Mom and Dad! This would be absolutely great to keep an eye on my granddaughter. We live with my daughter and the grandkids. I am excited! I hope I win the prize! I hope I win this! This will help with the first time mom jitters! I would like to have this for when the grandbaby stays with me. I am excited! I hope I win the prize. I’d love to win this for my new nephew. This looks like an interesting product. I need this for my little one! I like that there’s no cords and is lightweight. It looks like it would give me great peace of mind. I am excited! I hope I win the prize. This could make a good donation. I love how this picks up even the slightest movements. I would love to use this for my son. He will be transitioning into a crib in his room. I would love to win this to give to my good friend who is expecting her first baby. Thanks for the giveaway! I’m excited. I hope I win this prize for my future child! I would give this to my sister who just had a baby. I am so excited! I really hope that I win! ” I am excited! I hope I win the prize”. I’d love to win this for myself and my darling baby daughter. It would really give me piece of mind, and encourage us to start putting her in her crib to sleep. I am excited! I hope I win the prize FOR MY NIECE WHO IS PREG AND DUE IN APRIL 10TH. WITH A LITTLE BOY. My second is due in July so I would love to win this for myself. I didn’t have the luxury of having a monitor with my first so this is such a neat idea. Being a parent is so exciting! I want to win this for my wonderful daughter & her family. I am excited! I hope I win this prize! My nephew and his long time gf are expecting in the spring, and this would make a great gift for them! I would love to win this for my niece. Thank you for the chance! I would love to win this for our next one! I am excited! I hope I win the prize! I would like to give this to a friend of mine who is having a new baby. I would love to win this for my nephew. I know my brother would appreciate it. I am hoping to win this for my daughter, who is Blessing us with our first grandchild in May. (a girl!) She is getting to the stage of all the “What ifs?”, and I know this would ease her mind tremendously! What a great product, wish they had them when she was a baby! I’m pregnant with baby #3, due in 5 weeks. I’d love to win for our little boy so I can get better sleep without worrying so much! MY daughter is due in March and her baby is really small. I think it would give her a piece of mind with the snuza on keeping the baby safe and monitoring his breathing. I’d Love To Win This For My Sister Who Is Expecting Her First Baby Next Month! I am excited! I hope I win the prize. I’d love to win this for myself. I’m expecting early summer! I would love to win this for my niece. She comes over every week when I babysit her and this would really come in handy when I put her to sleep in her room. If I win this it will be a tough decision who to give it to. I am expecting 2 great nieces and one great great niece this spring. It’s amazing that all three are having girls. this would be for my grandbaby. We’ll meet him/her in September!!! I want to win this for my sister inlaw who has a new baby. She would be excited to have it. I’d love to win this for my daughter! My husband and I will become first time parents in early May, and products like this really pique my interest! I’d want it for myself. It’s in my Amazon wish list, actually! I would love to win this for my baby arriving this spring. I have been looking into the Snuza Monitors and it would be so great to win one! It looks like a really innovative product to help parents! Great prize every new parents should have one.